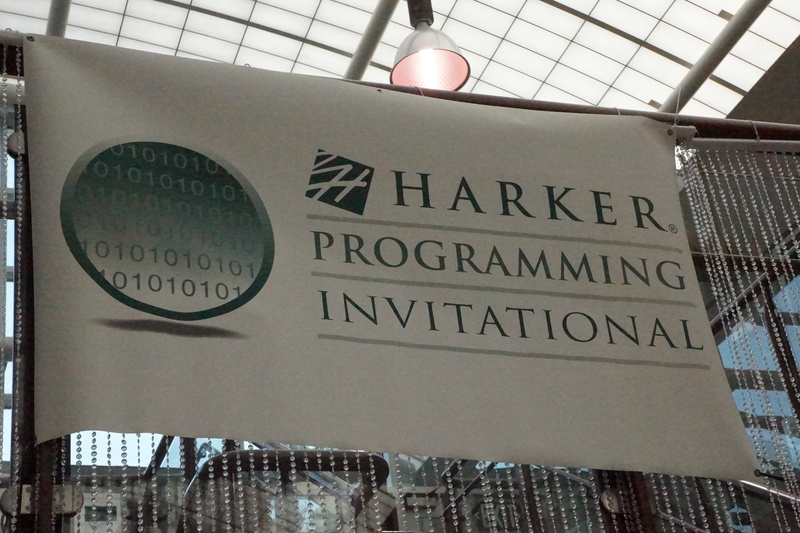 On March 20, the Harker Programming Club hosted the annual Harker Programming Invitational. Schools from all over the Bay Area competed in a programming contest that “put their algorithmic programming skills to the test in a competitive yet encouraging environment,” said Sadhika Malladi, grade 12, a club officer. Offered at novice and advanced levels, “We host a two-hour competition followed by a 30-minute challenge round that allowed teams to improve on their scores,” Malladi said. Between rounds, students attended talks from sponsors and university representatives, who discussed ways students could pursue their interest in computer science after graduating from high school. Sponsors included Pebble, Carnegie Mellon University, Star League, Make School, A-Star and ACEprep. Taking first place in the advanced-level competition was Aragon High School, followed by Nueva High School in second and Monta Vista High School in third. Saint Francis took first place in the novice competition, where Diablo Vista took second and Dougherty took third. Harker students are not allowed to place in the competition.